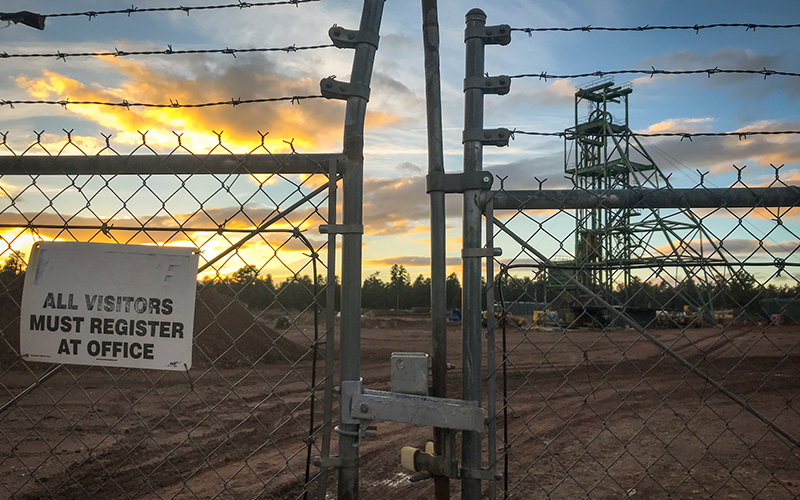 WASHINGTON – A federal appeals court said Thursday that the Havasupai tribe and environmental advocates can challenge an existing uranium mine on land near the Grand Canyon where mining was recently banned. The decision by a three-judge panel of the 9th U.S. Circuit Court of Appeals is a partial reversal of its own December decision that said the Canyon Mine, approved in 1988, was grandfathered in and could not now be challenged. But a spokesman for mine owner Energy Fuels Resources said the company is committed to continuing the fight to open the mine, which he said poses no threat to the environment. “It’s a minor setback, but I don’t think it’s going to impact anything we’re doing up there. So we’ll see what happens,” said Curtis Moore, the spokesman. Thursday’s ruling is the latest in a years-long fight that began in 1988, when the Forest Service approved plans to build and operate the mine around Red Butte, just miles from the Grand Canyon and the Havasupai lands. Construction began on Canyon Mine but was put on hold in 1992 when the market for uranium faltered. The mine was still shuttered in 2012 when then-Interior Secretary Ken Salazar imposed a 20-year moratorium on new mining claims – a “mineral withdrawal” – on more than 1 million acres of public lands around the Grand Canyon. Even though it determined that the mine did not need new environmental or historic site approvals to operate, the Forest Service contacted the tribe to negotiate possible changes to protect Red Butte, which was declared a historic place in 2010. 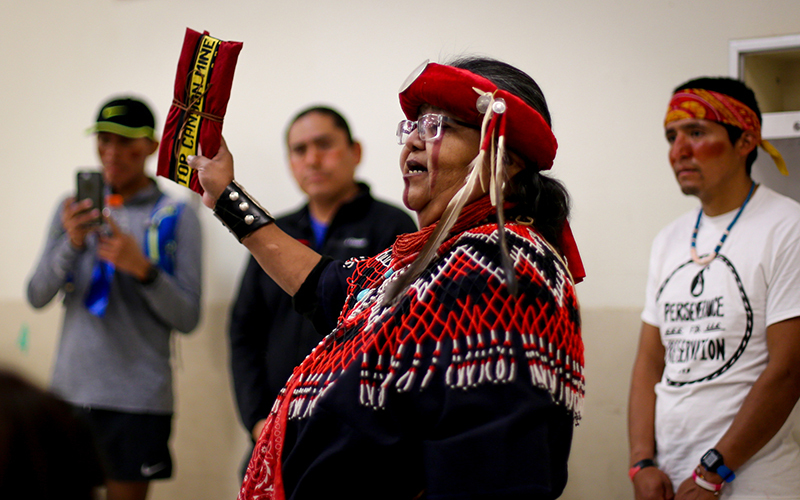 The court said those negotiations continued until 2013, when the Havasupai sued, along with the Grand Canyon Trust, the Center for Biological Diversity and the Sierra Club. The suit demanded new reviews of the mine under the National Environmental Policy Act, the National Historical Preservation Act and the Federal Land Policy and Management Act. Moore flatly rejected that claim. A federal district court last year sided with the government, and that ruling was upheld by the 9th Circuit in December. But the court revisited its ruling and said Thursday that while the mine approval could not be challenged under the environmental or historical laws, there could be a challenge under the Federal Land Policy Management Act. It said that act gives the Interior secretary the authority to order mineral withdrawals, but that those withdrawals are “subject to valid existing rights” – and the district court needs to determine if there was a valid existing right under the FLPMA. “The original three judges who reviewed this took another look at it and said, ‘We changed our mind at one of these points, and we’re going to send it back to the district court so we can get a ruling at that level,'” said Roger Clark, director of the Grand Canyon Trust’s Grand Canyon Program. The court ordered the case back to district court to reconsider the challenge on those grounds. “Theoretically, this mine that’s already been developed … if it is subject to the Mineral Withdrawal, nothing could be mined out of there until after the moratorium is lifted in 2032,” Clark said. Both sides agree that there is still a long legal battle ahead. But Moore said the mining company is confident that it will emerge successful. “We’re unsure what exactly our next steps will be, but presuming that we do have to go back to the district court and argue that issue, we’re pretty confident that we’ll prevail on that issue,” he said.